Toronto-based duo Once a Tree premiere the video for their latest single, "Howling". Saulteaux singer Jayli Wolf and husband/musical partner/producer Hayden John Wolf are onto something. 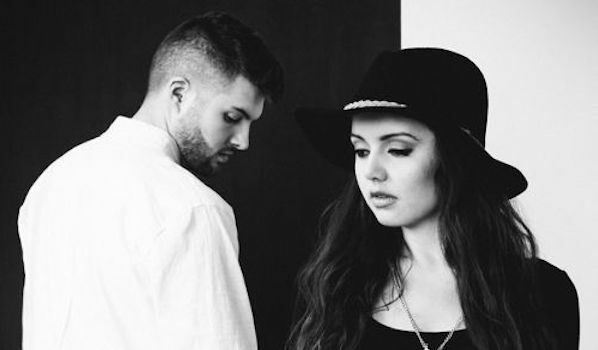 As the enigmatic duo Once a Tree, their lush EDM-inspired, bedroom-R&B/electronic pop compositions were catching fire on SoundCloud going back to early 2014, but now their page features just one song. That single, however, is "Howling"—a massive dubstep-inflected dose of downtempo pop that has already amassed two hundred thousand plays. This week, said single gets a similarly chic visual treatment, in the group's haunting, Jonathan Riera-directed debut video, which premiered over on Billboard.com. Not a bad for a duo with only one 'official' song to their credit. Although their sounds have been appearing and disappearing from the internet for a while now, "Howling" marks their proper arrival. Once a Tree is here to stay. Watch: Once a Tree - "Howling"
Stream: Once a Tree, "Howling"
Download "Howling" on iTunes and stream it on Spotify.